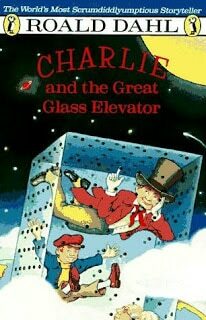 Charlie and the Great Glass Elevator. In a word, odd. This book is so different from the first one. If all the characters didn’t all have the same names as the first book I am not sure I would have known that it was a sequel. I definitely didn’t like it as much as the first book and it definitely didn’t have as much Roald Dahl charm. Even though the second book wasn’t as good, I wondered why no film adaption had been made of it. When I look it up, I found out that Roald Dahl hated the first movie version of the first book (Willy Wonka and the Chocolate Factory) and so he never released the rights to the second book. Even as classic as the old movie is, I cringe when I think of it in comparison to the book, I can understand why Dahl hated it. Even though this book is not as good as the first Charlie book and it isn’t as good as Matilda, it is still worth a read but I am not sure that it will ever find itself a permanent place of my shelves.